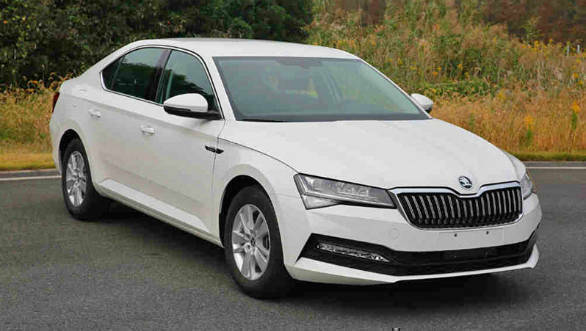 A set of images have appeared on the internet which show the facelifted Skoda Superb sedan undisguised, ahead of its 2019 Geneva Motor Show reveal. 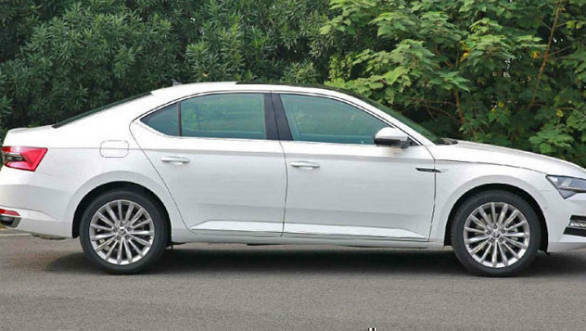 The third generation Superb launched internationally in 2015 and is due for a mid-cycle refresh. 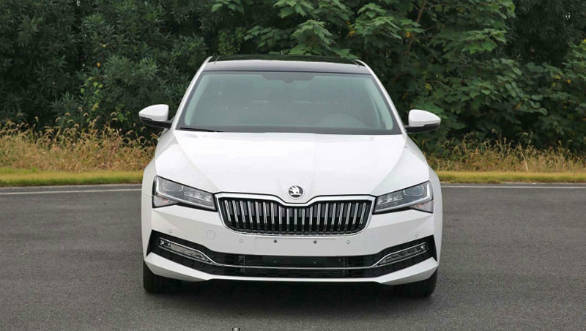 These images show what seems like the Chinese model and the refresh is, unlike the Octavia facelift, more evolutionary than revolutionary. The butterfly grille now has a thick chrome strip running over it while the headlamps look slimmer and wider, the lighting element too have changed. Also new is the front bumper. The air dam is wider an stretches the entire length of the car, also housing the wide LED fog lamps. There are no details yet on the changes inside but we can reasonably expect the virtual cockpit instrument cluster and a 360-degree camera to debut on the L and K trims. Engine options will likely remain unchanged for India but international markets will get a new plug-in hybrid which will pair a 1.4-liter TSI petrol engine that makes 156 PS and 115 PS from an electric motor. This unit will have a combined output of 217PS and 70 km range. The 1.8 petrol with 180PS and 250 Nm and the 2.0-litre diesel with 177PS/350 Nm should continue unchanged. 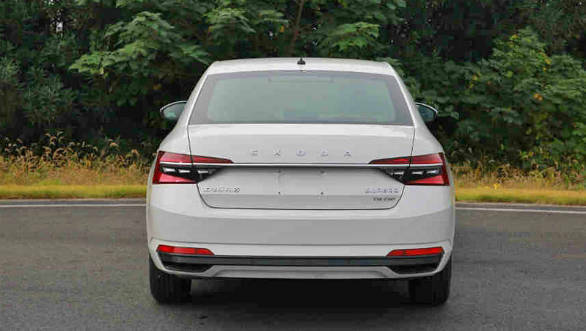 The Skoda Superb has had this segment mostly to itself, dominating the Passat with better value and more spce. But a new Camry hybrid is now available and this facelift will keep the Superb from feeling like it has fallen behind.